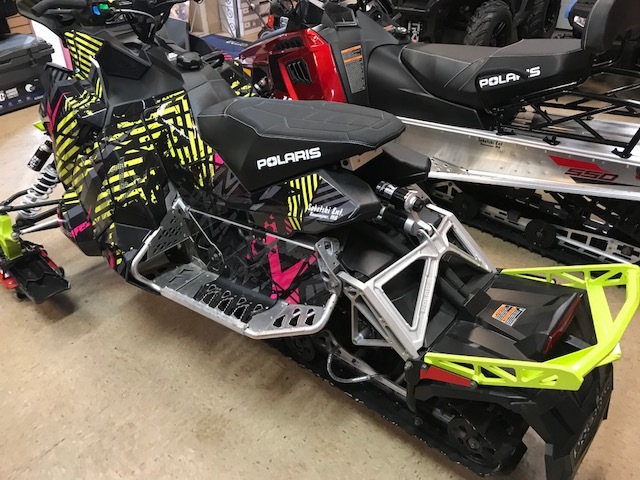 2018 Polaris Rush 600 Demo with Custom Wrap. This was my Wife's personal demo. 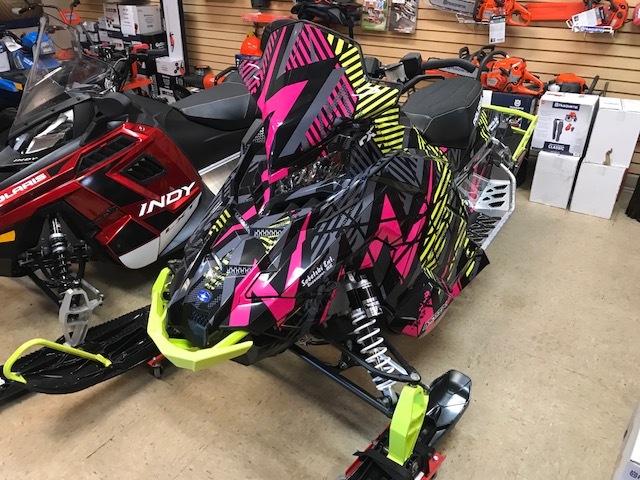 It has a custom Arctic FX wrap, electric start, lime squeeze spindles, bumpers and ski toes. 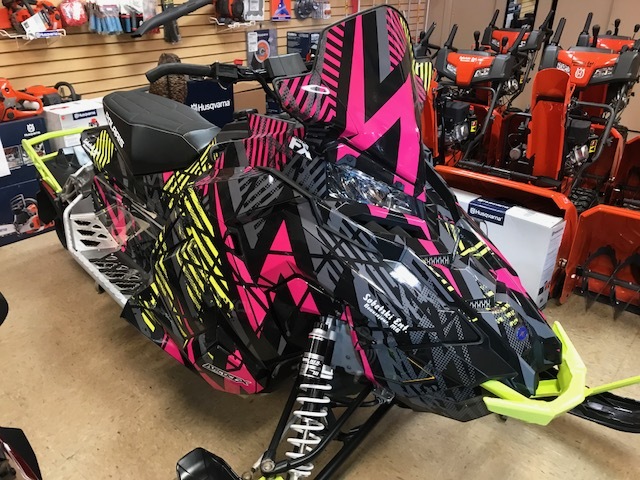 It has electric start, reverse, helmet plug, windshield bar and hand and thumb warmers. Comes with a full 1 year warranty(Can add a second year for $400). Financing available OAC. $12,399.